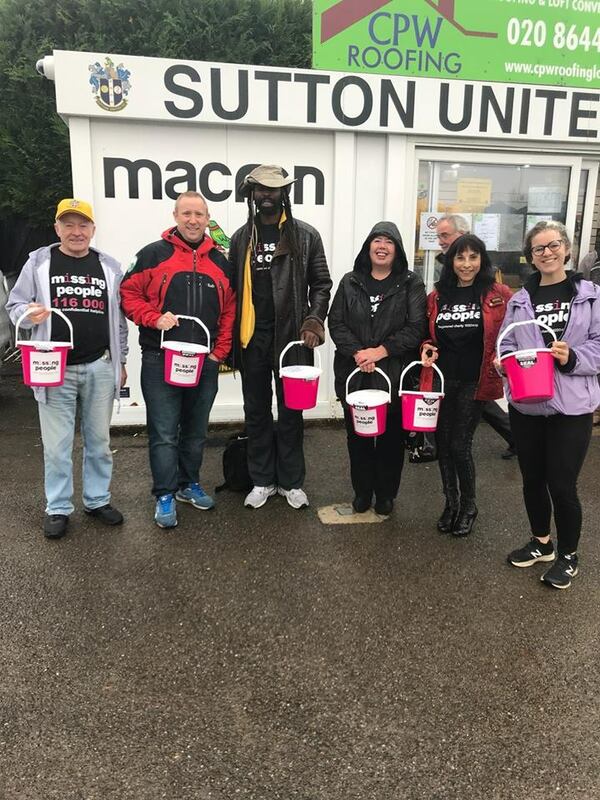 On Saturday 22 September, a team of Missing People staff and volunteers braved grizzly September weather in order to hold a special bucket collection at Sutton United Football Club. The collection was in tribute to Lee Boxell, a SUFC junior member and avid supporter of the club, who has been missing for 30 years this month. “My son, Lee, was a junior member of the Sutton United FC’s Supporters’ Club. He would regularly attend the team’s games, accompanied by his friends. “I remember going with Lee to a game in 1988, SUFC versus TV Celebrity XI. A few weeks later, on September 10th, Lee wanted to see the team play, but the away-fixture was too far from home, and he had no friend available to accompany him to a nearer football ground. He went to Sutton, but never returned. “Attending the game this September, 30 years after Lee’s disappearance, at Sutton United FC’s stadium at Gander Green Lane was poignant for me. The collection raised a fantastic £343.65 a fantastic result that’s almost as good as SUFC’s 3-0 victory against Wrexham. 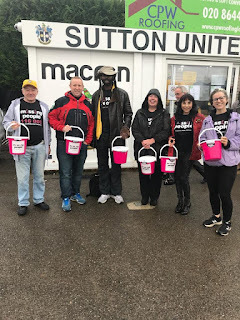 Thank you to Sutton United FC for telling Lee’s story in the match day programme and making tannoy announcements encouraging supporters to donate. And, of course, thank you to all the Sutton supporters for their generous donations. The money raised could pay for 69 TextSafe messages to vulnerable missing people, so we can reach out to them and offer a listening ear on our free, 24/7 and confidential 116 000 helpline. 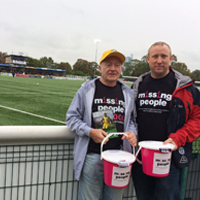 If you would like to arrange a special collection in tribute to your loved one, please get in touch with the supporters team today by emailing supporters@missingpeople.org.uk.